Tainted Blood connects the dots between how the politics and high stakes Olympic sponsorship money makes athletes pawns of their governments. Under President Ronald Reagan, the 1984 Olympics were an important propaganda tool in the Cold War. The pressure to win Olympic medals was extraordinary because the powerhouse Russian and East German teams boycotted the Games. In 1980 the American Olympic squad stayed home because President Jimmy Carter refused to send the team to Moscow. Tainted Blood tells the story of the blood doping scandal from the point of view of the athletes. Through interviews with 1984 silver medalists Nelson Vails and Dave Grylls along with former world champion and 1984 Olympic team member Inga Thompson, Tainted Blood takes the viewer into the secret world where athletes push themselves to the precipice and are driven by coaches with their own Olympic fueled dreams. 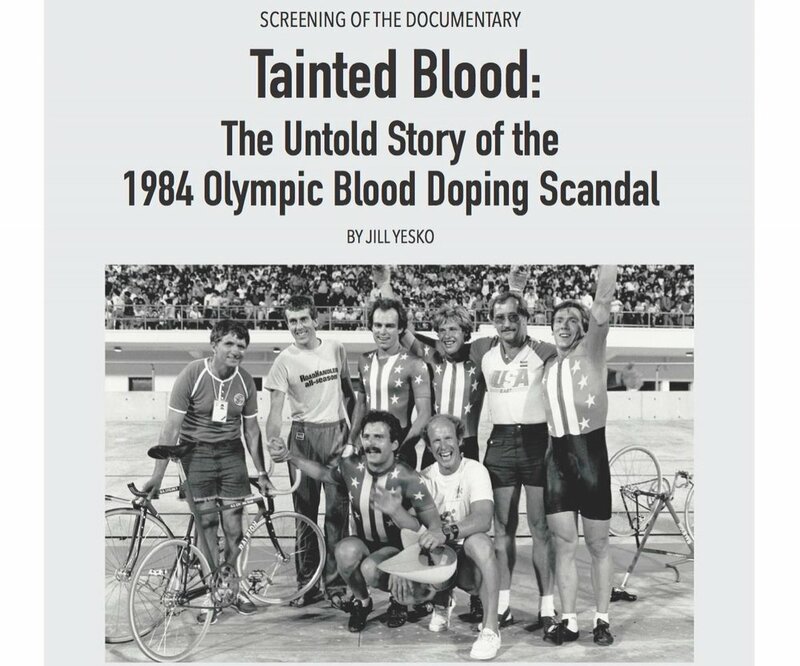 With the profusion of doping scandals in all sports along with the threat of future Olympic boycotts, Tainted Blood gives viewers a highly personal and behind the scenes looks at why athletes dope and why consequences of their doping haunt athletes for the rest of their lives. ABOUT FILM FATALES: Film Fatales is a diverse community of women filmmakers who meet regularly to mentor each other, share resources, collaborate on projects and build a supportive environment in which to make their films.